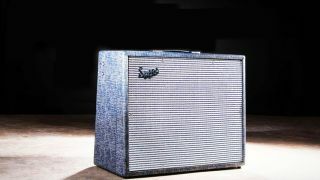 NAMM 2014: Legendary amplifier brand Supro is to return in 2014. The Supro trademark has been purchased by Absara Audio LLC, the parent company of effects brand Pigtronix, and a range of new amplifiers will be making their debut at NAMM in January. The new models will be built at a new factory in Port Jefferson Station, NY, and we're told to expect 'USA-made, vintage-inspired Supro tube amplifiers in April 2014'. The rights to the brand were formerly owned by former Fender amplifier designed Bruce Zinky, who sold them to Absara Audio in September but will remain involved with Supro as a design engineer. The Supro name, which was active from the 1930s through to the mid 1960s, has become something of a legend among amplifier conoisseurs thanks to its association with Jimi Hendrix and Jimmy Page. For more information, visit the official Supro website. Absara Audio LLC, parent company to ground-breaking analog effect brand Pigtronix, is proud to announce its acquisition of the historic Supro trademark-pertaining to both amplifiers and guitars-worldwide. To accommodate this expansion, Absara Audio has constructed a new production facility in Port Jefferson Station, NY and will begin shipping a line of USA-made, vintage-inspired Supro tube amplifiers in April 2014. The rights to the Supro brand were acquired in September from former Fender amp designer and long-time Pigtronix associate, Bruce Zinky. Zinky has been retained as exclusive design engineer, and has collaborated with award-winning sound designer David Koltai to realize a modern incarnation of the Supro sound that has been out of production since the mid '60s.